This UWP app for all Windows 10 devices has been out for a while, but I thought I'd have a quick look. 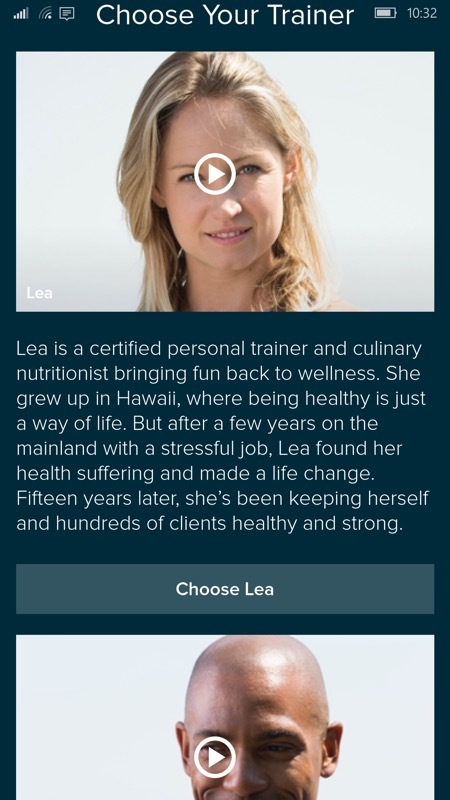 The idea is to provide animated and video-centric workout commentaries for people with all levels of fitness. The polish on display in the application is top notch, but then this is to be expected because it's effectively 100% commercial, i.e. 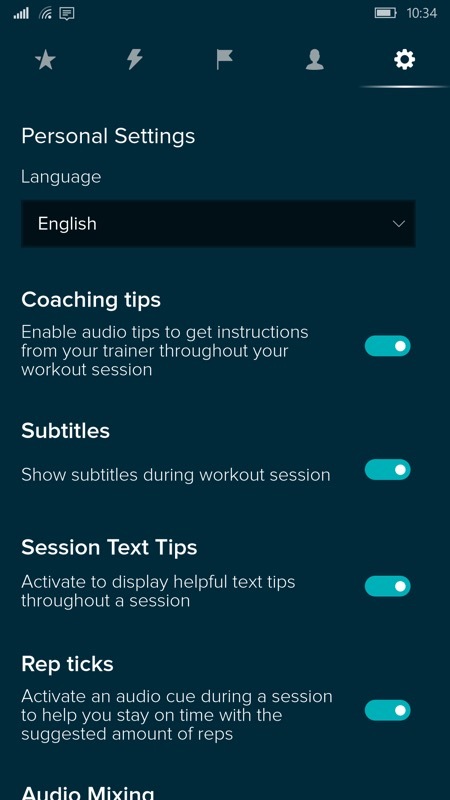 users pay for Fitbit Coach: Premium (£6.70 a month), so the developers have money to put back into the app and its content. 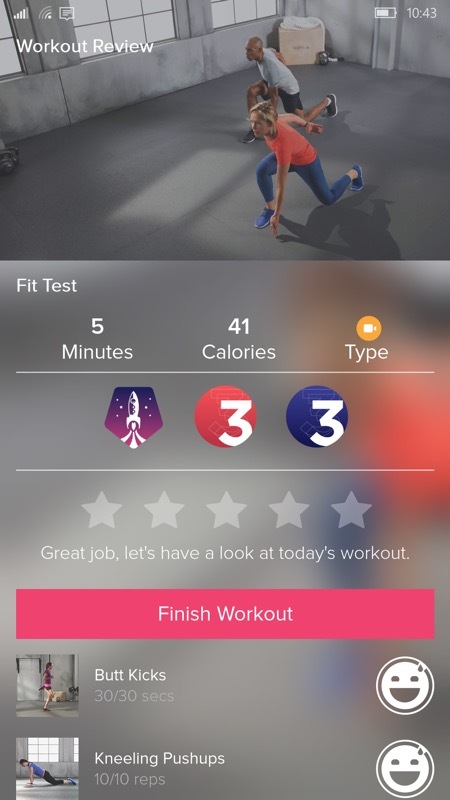 Without a premium subscription, the application is essentially just a trial and you get to do just the most basic workout. 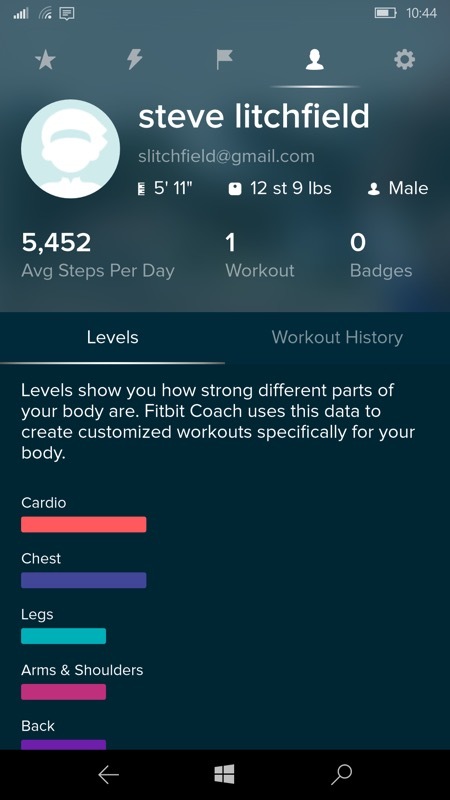 The Fitbit Coach personalized training app helps you stay motivated to reach your health & fitness goals, from getting stronger to losing a few pounds, with expert-designed dynamic bodyweight, run, and walk workouts that continually adjust to your feedback, goals, and capabilities -- just like a personal trainer! Whether you’re home, on the road, or can't make it to the gym, we ensure you get a great workout anytime, anywhere. ...these are easy to follow, all introduced on video and timed/animated as needed. For each, the idea is to tell Fitbit Coach how easy or hard you found them. 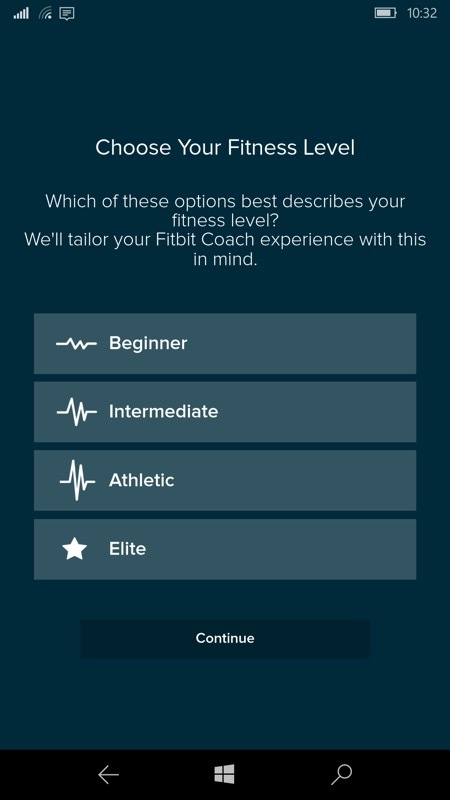 The app then knows more about your level of fitness and flexibility. 'Downward dog', anyone? 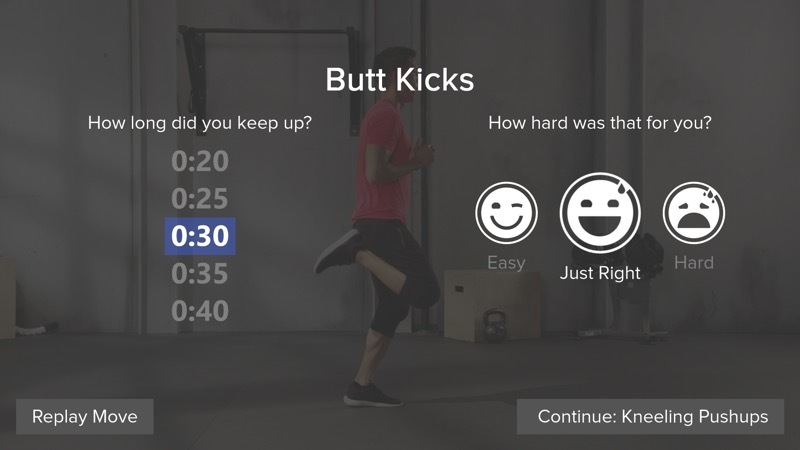 Both a smiley face system and a time adjustment help the app know how far ahead (or behind) you might be beyond the current training level. And then it's off to more advanced and complex sets of exercises, with settings controlling the audio alerts, the mixing of 'Fitbit Radio' music, and more. It's very sophisticated. After each workout there are breakdowns of how you did - the screens above show just the intro/test workout. 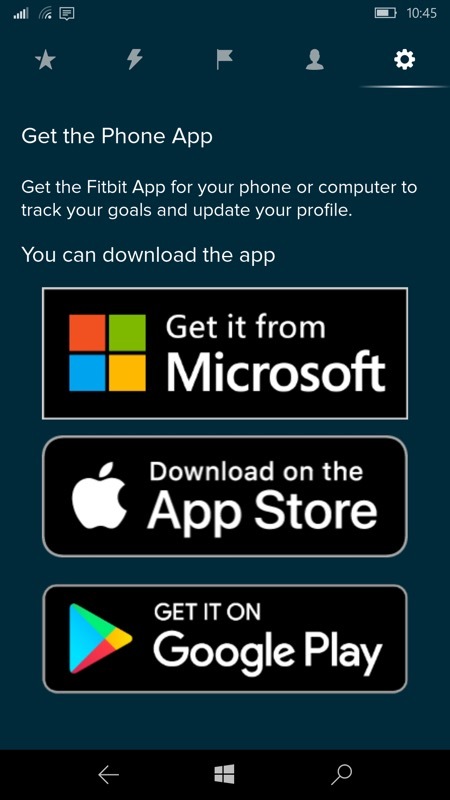 Fitbit Coach UWP integrates with the Fitbit data collected by the main Fitbit UWP, of course, including picking up your steps per day - and this gets added into the 'Coach' mix; (right) there's a 'Get the Phone App' link on the menu, which for Windows just points back to this same app in the Microsoft Store. On iOS and Android the app is obviously separate - on Windows 10, the same UWP is obviously used on both Surface/hybrid/XBox/whatever and the phone! 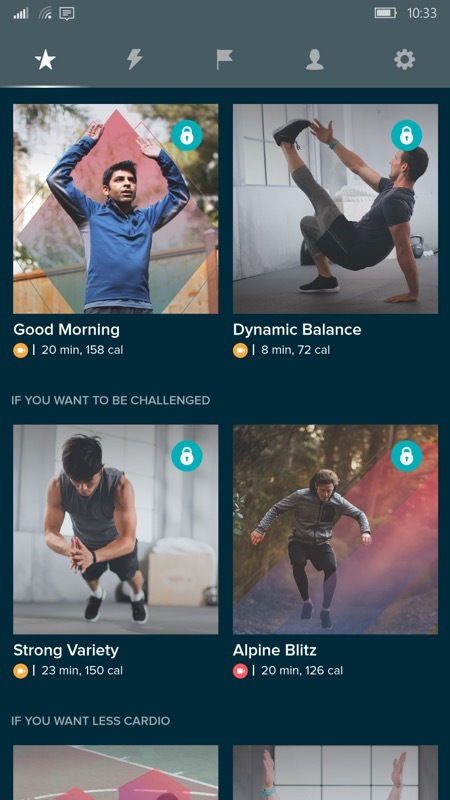 Fitbit Coach is a fascinating look inside the world of a fully commercial app and ecosystem - and it seems to be doing well overall, which is good. Great content is worth paying for. You can grab this in the Store here. If you're in any way into fitness and exercise then this is seriously worth checking out and subscribing - it's an awful lot cheaper than joining a gym and most of the exercises here can be done at home or with a home treadmill at most. Recommended.